The Alms Hill Apartment building in Walnut Hills. 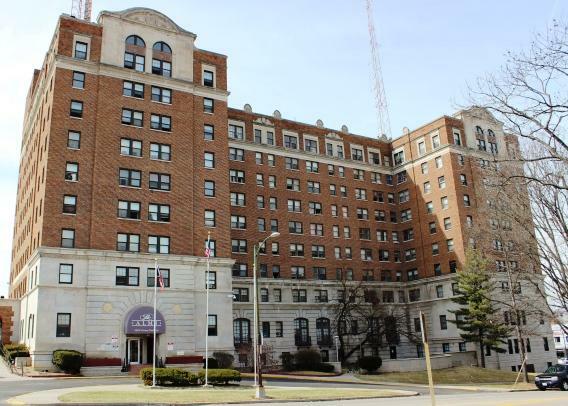 Members of Cincinnati Council's Law and Public Safety Committee are promising action to improve the allegedly poor living conditions at a Walnut Hills apartment complex. The city has filed a lawsuit against the owners of The Alms Hill Apartments on Victory Parkway. It comes after inspections revealed several issues including mold, roaches, bedbugs and water damage from leaks. The city issued 29 pages of orders that need correcting. Josette Bonner lives in the building and says she doesn't feel safe or healthy there. "I've expressed my concerns several times," she says. "I've made several complaints, put in several work orders, (but) nothing ever gets done. Basically I've been delivered a bunch of empty promise about repairs." Several other residents also expressed concerns during a council committee meeting Monday. City attorney Mark Manning says the building's owners need to offer some kind of repair proposal. "You need to come to us with something that allows us to address these issues so that we can understand that (the owners) are acting in good faith to address these problems. And to date they've provided nothing," says Manning. Manning says the local U.S. Attorney's Office is involved and the case will likely be moved to federal court because Housing and Urban Development money is involved. Neither the building's owners nor their attorney attended the meeting. In a statement to WVXU, attorney Louis Sirkin writes, "My client denies many of the allegations and the Committee was aware that I was unavailable for the meeting today due to a previously scheduled mediation. If, in fact, my client’s property was discussed at a meeting today disturbs me in that I was advised discussion regarding the Alms would be deferred to another meeting when I could attend." Some council members requested a building tour and expect the issue to be on the agenda again in two weeks.